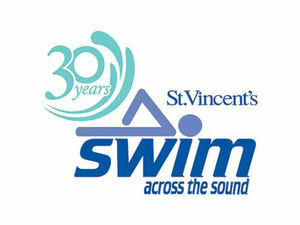 BRIDGEPORT, Connecticut – St. Vincent’s SWIM Across the Sound will host its Annual Sports Gala and Auction benefiting Connecticut police, fire, and correction officers, EMS personnel, public safety dispatchers, and their families battling cancer. Retired NFL Star, Merril Hoge, will be the guest speaker at the event on March 20, 2019, at Anthony’s Ocean View in New Haven, CT. Anthem Blue Cross and Blue Shield of Connecticut is the title sponsor of this event. St. Vincent’s Medical Center Foundation of Bridgeport, CT. Since 1987, the SWIM has had a unique niche helping individuals and families struggling through the difficult changes that cancer brings with it. The SWIM serves approximately 30,000 people annually by providing over 44 programs, including cancer education, screening, prevention and support programs at low- or no-cost for the uninsured and underinsured. In addition, the SWIM helps individual cancer patients on a case-by-case basis with specific financial assistance, funding of wigs and prostheses, medication assistance, free transportation to treatments and appointments, day-care scholarships, support groups and more. For more information, contact the St. Vincent’s Medical Center Foundation at (203) 576-5451 or visit www.SwimAcrossTheSound.org.